An Investigation of the Chicago Times' Series: "City Slave Girls"
This project restores Nell Nelson's instrumental work exposing the cruel unsanitary working conditions of 19th-century Chicago’s manufacturing industry. 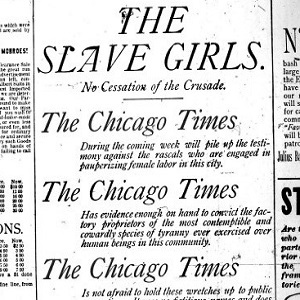 A pioneer of investigative reporting, Nelson published the series, "City Slave Girls," in The Chicago Times. Focusing on the ill-effects of industrialization, she exposed the mistreatment of the women, children, and the impoverished. For more on the development of this project please visit our GitHub page. 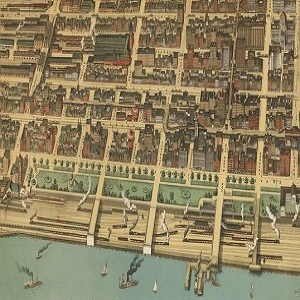 Navigate late nineteenth century Chicago and explore the companies exposed in the series. Explore the series in Nelson's words.